A stunning pair of original Narviks in blackwood. 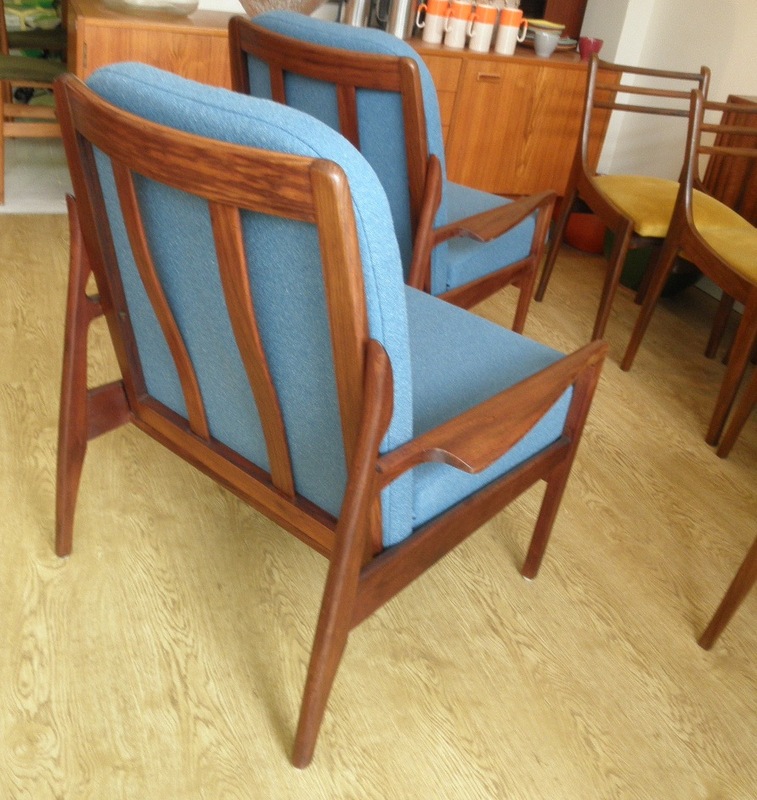 These have the preferable slatted back and have ben re upholstered in Danish fabric in a great mid blue, they have ben re-polished, re-strapped, new foam and new covers. 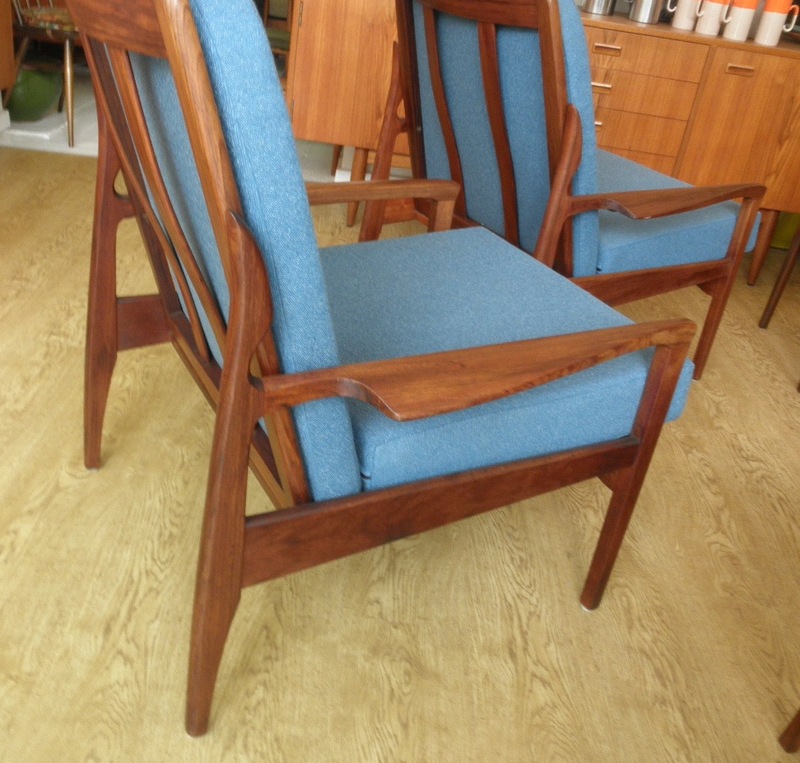 Overall a nice set of practical, robust, restored mid 1960s chairs at a fantastic price. 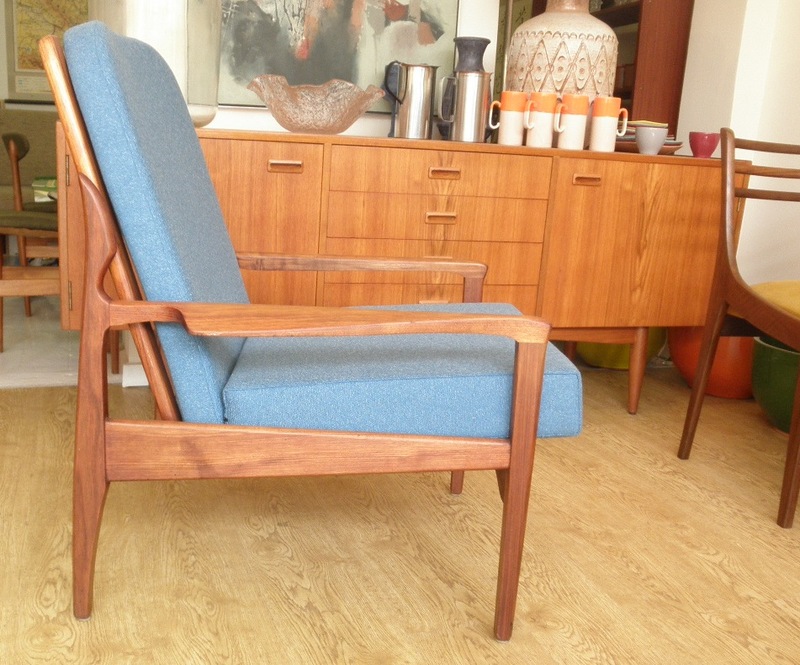 We also have another pair of earlier Narvik chairs in original wool covers -the daybed that matches them is sold. we also have a pair of frames with an original off white wool cover set on them available for $950 the pair that would look great recovered. they have been repolished and are ready to use as is if preferred.